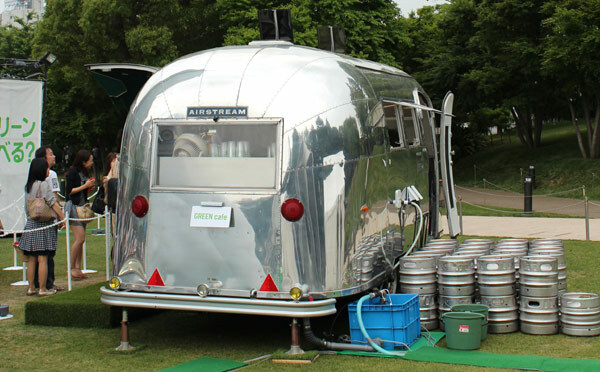 We have had a camping trailer made in U.S.A, that is, Airstream. But we parted with it last spring. Then we found it in ad of KIRIN beer, starring Arashi, a popular Japanese idol group. 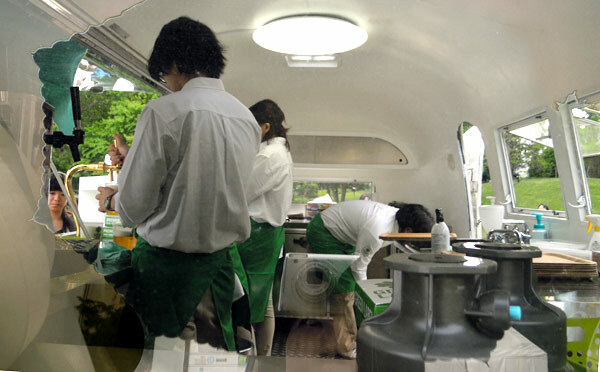 This Airstream goes around Japan during this summer. 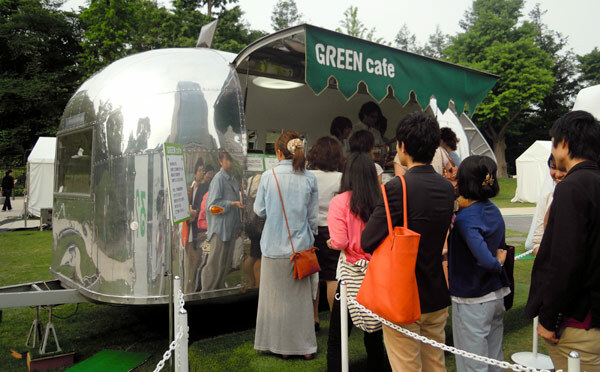 Let’s check our favorite trailer in Tokyo Midtown! Many people had fun. New eaves and counter were created on the side by Trailer village, Inc.
A lot of casks were ready to quench 8575 people’s thirst with beer for five days. Where were you, Ishikawa-san? Some of these pictures were taken by him. We were at the same place at the same time, but we could not meet there. 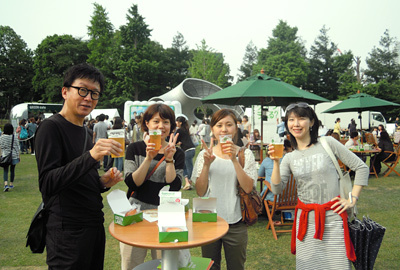 Instead, we bumped our ex-students at Tohoku University of Art and Design. We made a toast with Nito san and Honma san! 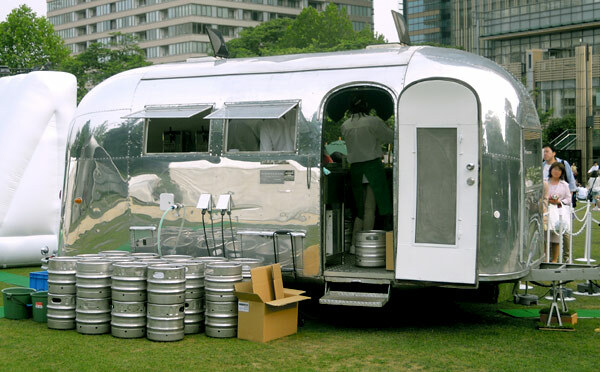 The sign of the Airstream stands for cool, functional, and American classical dream. Although It was developed in 1930’s, it never gets old. Because it can be arranged for multi-purpose with polishing surface. 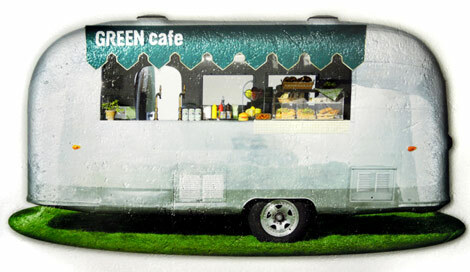 We convinced that this is the ultimately car of eco-friendly style. Our memory in 2009. Architectural Furniture in Airstream.